What to do if guests left the table without paying? 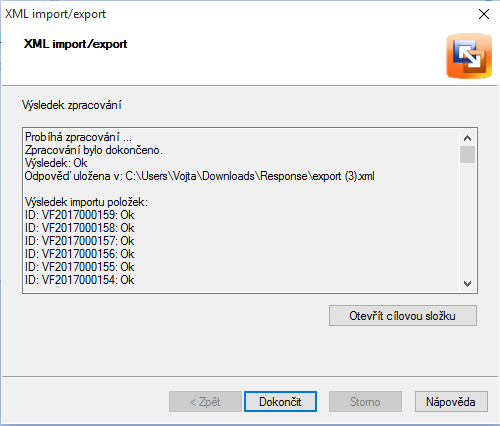 In this case you can use the function VYDÁNO NEZAPLACENO. If you have already closed the bill you can make cancellation by clicking in the section Účty/Bills at zrušit. How to delete a bill? In mobile waiter’s application (POS) in main menu open section Přehled účtenek.Choose receipt that you want to cancel, and then click on Cancel/Storno and choose reason to cancel the bill. In tablet you can cancel bills made max 24 hours ago. Merchant/Owner can delete also older bills. To do it, sign in to Web Network Administration and in section Účty, subsection Účtenky. What happen when I cancel the bill? All bills one by one you can find in the section Bills/Účty in subsection Receipts/Účtenky. A summary of all sales you can find in the subsection Bills overview/Přehledy tržeb. In the section Receipts/Účtenky you can sort out receipts by the time period (1) and the method of payment (2). How can I filter the time period? Just click into a calendar. If you want select just one day, use double click. In the Detail (D) you can see all information about the receipt. Do you need cancel the receipt? Go to the section Bills/Účty and in the subsection Receipts/Účtenky click on Cancel/Zrušit. (D) Then you can also choose a reason of the cancellation. What happens when I cancel the receipt? You will see the receipt marked as grey (2). If you use a Storehouse the items on cancelled receipt are added back. You are oblidged to fiscal all bills, the cancellation is sent to Revenue Institute as minus trasaction. To click on Delete/Smazat you can delete the receipt totally. This function is avaiable only for merchant. A chief and place managere can receipts just cancel. I cancelled the receipt, can I take it back? Unfortunately it is not possible as you have already sent the fiscal information to the Revenue Institutte. red cross means: either the bill was closed as NEPODLÉHÁ EET/not subject of the electronic sales reporting or is waiting for fiscalization. The bills overview is used for an accountancy and you can convert it to PDF or XLS file (3). This report provide to your accountant. More information about Electronic sales reporting you will find there. To export bills to POHODA click on Účty -> Účtenky and then Pohoda Export. 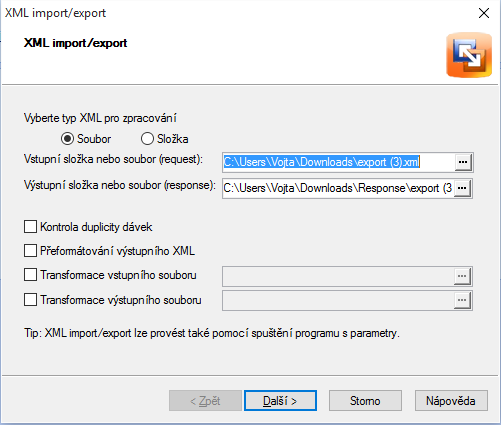 The file export.xml will be dowloaded for the set period of time. 1. 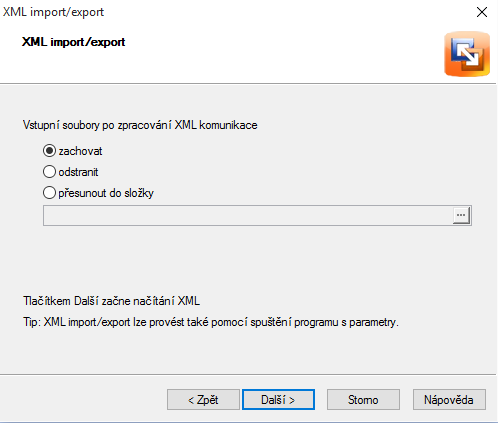 Then open POHODA system and in section SOUBOR choose datová komunikace-> XML Import/export. Choose the right XML file.